OC Marathon 2018, photo courtesy of Tight Loop Media. “The research that they’ve done in the last few years has given many people a chance to live,” said John Wayne about cancer research in a 1974 public service announcement. Wayne would pass away from the disease in 1979, but in the mid-1980s his namesake foundation was born, dedicated to ridding the world of cancer and supporting those in their fight against the disease. Every spring in Orange County, California, the Duke’s spirit lives on via Team John Wayne—made up of runners of all skill levels who raise money for the John Wayne Cancer Foundation (JWCF) whilerunning the OC Marathon. (There’s a half-marathon as well.) This year is a special one for the famed race, which takes place on May 4 and 5, and whose charity spotlight includes JWCF. 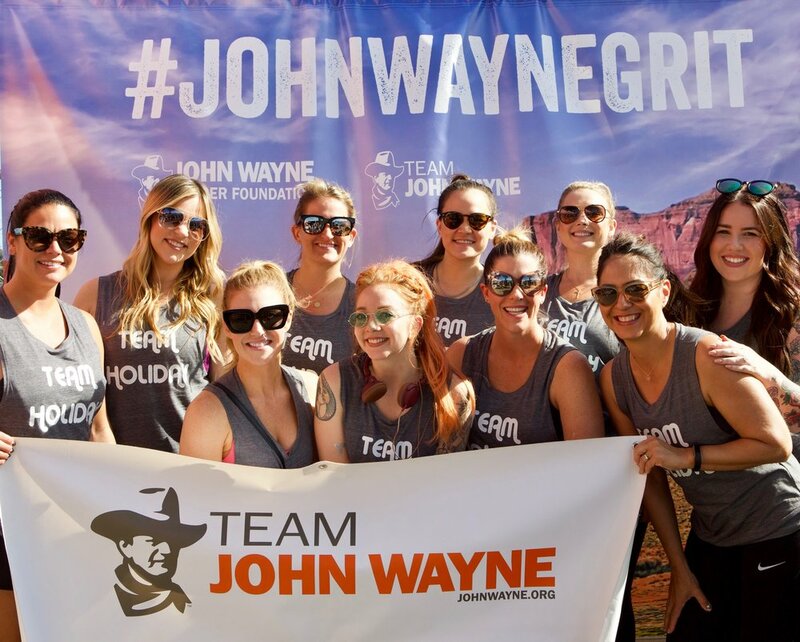 One can join Team John Wayne as a sole runner, or form a team with friends, family and co-workers at donate.johnwayne.org/OC2019. “Team members run in honor or memory of their family and friends who have been affected by cancer,” says Graber, and fundraise for JWCF leading up to the event. One needn’t be a runner or live in Orange County, however, to help JWCF in its quest to fight cancer and support those it afflicts. The athletic fundraising program is year-round and open to all. “Athletes of all levels are welcome to join Team John Wayne and participate in any event of their choosing,” says Graber. Past events, for instance, have included a Tough Mudder extreme obstacle course and a half-marathon and 5K in San Antonio. Visiting donate.johnwayne.org/teamjohnwayne is where one starts—a sharp-looking, personal fundraising webpage will be provided—and if fundraising is not one’s forte, JWCF is always on-hand with expert guidance and incentives.